Clef is a mobile app that replaces usernames and passwords with your smartphone. I take WordPress security very seriously, and I think every precaution should be taken against hackers, which is why I am pleased to say that Jozga Design is a registered Clef Safer Hosts partner. When you sign up to Clef you create a digital key on your phone, this key is unique to your phone and every time you log in it is used to generate a new signature. The signature is transmitted to the WordPress login screen as the Clef Wave, and just by holding your phone to the screen the two devices sync and you are allowed to log in. WordPress recognises your smartphone and knows who you are. In practice the procedure is very simple: enter the pin on your phone, open your WordPress admin area URL and then hold the phone up to the screen. This is so much safer than using a password because there is no chance of some third party intercepting it. When you type in a password you are only as secure as the computer you type it in on. And not all passwords are very secure, WordPress is frequently targetted by bots that just try to guess your password. And if you use the same password in several places then it is only as safe as the weakest of those sites’ security. Not to mention the fact that you might write your password down somewhere to rememeber it! The Clef app generates a public and private key. The private key stays on the phone to generate signatures that uniquely identify you. What this means in practice is that there is no risk of Clef being hacked, your important details are stored safely on your phone. Of course this does mean you need to have a smartphone, and you need to have your phone to hand if you want to log in. Oh and if your phone gets stolen it is easy to deactivate Clef, and the Clef app is protected by a pin number anyway so even in the worst case scenario your site will be safe. 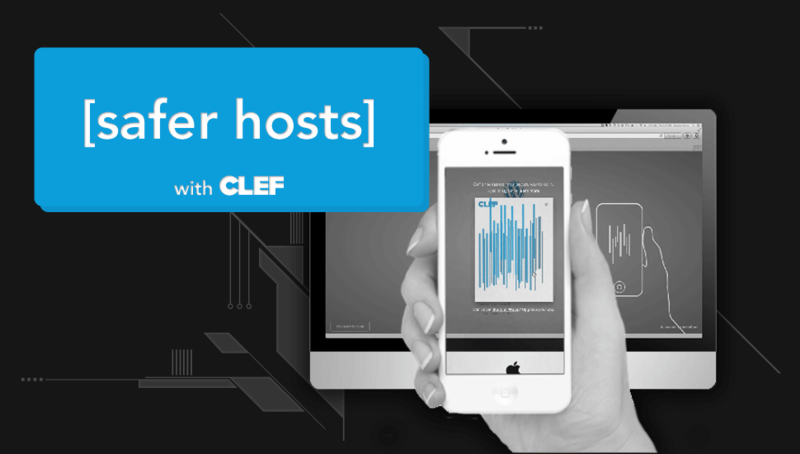 For more information about setting up Clef on your website, please drop me an email. An introduction to Clef, how it works and why you should use if for your Wordpress websites.